@nedenuleyn, in my opinion, he shouldn't reunite with her. There's a saying "Once a traitor, always a traitor." Of course, there could be exceptions but most of the time, there's a very high chance she'll do the same thing again. So, I think he shouldn't accept her back, he'll never feel secure in the future if he does. I'm curious what he'll do in the drama. I also think he shouldn't accept her. We know he'll try to explain her how they are meant to be but just as @brokbsb said, she'll do it again. He shouldn't risk it. I'd love it if after she realized she loves him, he'll say "no" . It will be a great answer to her. I think this is how it should end, also it will make the drama more realistic. Because in real life, in most cheating cases, it ends with a divorce. Also, I think it's something that would hurt Hee Tae's pride immensely; like she didn't love him enough, or wasn't happy and satisfied with him, she went to another man. It's not something to forgive easily. @uhmforce, AS much as we would want him to dump her he's will take her back and she shouldn't want to go back because things will never be the same.. It takes a strong man to accept his wife back after knowing she cheated on him..
Or just a gullible/dumb/weak man with not enough self-worth. I would never accept a person who cheated on me back - it's too degrading. I think I'm worth more than that and there are a lot of nice women around so why would I stick with a betrayer?. I think in most cases in real life people who accept cheaters back are usually people who does not think they are worth more and does not think they can find anyone better. That or they did not marry the person based on the belief that the person would be loyal in the first place and therefore based their marriage on other qualities (looks/money and so on).The synopsis make it seems he will accept her back and they will end up together but I hope it will not happen. xxxzxxx said: Or just a gullible/dumb/weak man with not enough self-worth. I would never accept a person who cheated on me back - it's too degrading. I think I'm worth more than that and there are a lot of nice women around so why would I stick with a betrayer?. I think in most cases in real life people who accept cheaters back are usually people who does not think they are worth more and does not think they can find anyone better. That or they did not marry the person based on the belief that the person would be loyal in the first place and therefore based their marriage on other qualities (looks/money and so on).The synopsis make it seems he will accept her back and they will end up together but I hope it will not happen. @uhmforce.I wish your ending becomes reality . In these kind of dramas a time skip at the end is fine also. Illy passing by Hee Tae 10 years later but without any response by Hee Tae. Hee Tae reach home and is welcomed by his children and happy new family . xxxzxxx said: @uhmforce.I wish your ending becomes reality . In these kind of dramas a time skip at the end is fine also. Illy passing by Hee Tae 10 years later but without any response by Hee Tae. Hee Tae reach home and is welcomed by his children and happy new family . uhmforce said: xxxzxxx said: @uhmforce.I wish your ending becomes reality . In these kind of dramas a time skip at the end is fine also. Illy passing by Hee Tae 10 years later but without any response by Hee Tae. Hee Tae reach home and is welcomed by his children and happy new family . "Hee-Tae (Uhm Tae Woong) met his future wife, Il-Ri (Lee Si Young), when he worked as a temporary biology teacher at an all girls high school. Il-Ri was a student there. Now, Hee-Tae works as a fishery researcher and spends his days in a typical marriage. One day, he learns that his wife is having an affair with a carpenter (Lee Soo Hyuk). He becomes angry for the first time, but decides to keep his family and wife." That Hee Tae was a temporary teacher makes it a bit more appropriate, I think. And "fishery researcher"? Will he go fishing, too? Are we gonna see Uhm Force fishing again? I thought I stop by and check to see if there's anything new! And wow! This thread is heating up already! With amazing posts! Awesomeness! I, we don't know yet! We're not sure how the storyline, characters are going to be like! All predictions, assumptions thus far in the thread are very intriguing and negotiable! It's nice to see you in here, @xxxzxxx! I love your points! 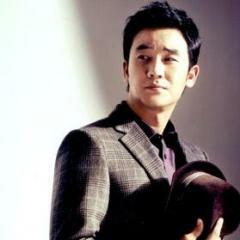 But what if Uhm Tae Woong's character is not perfect! What if he make poor decisions! He's not there for his wife! He's not realizing what his wife wants, needs! What if it's something else like his job, career that's keeping him away from her! What if it's a misunderstanding of him with another woman causing his wife to cheat on him, having an affair with another man! If that's the case, his not so good decisions, situations, misunderstanding circumstances and so forth may be the reason, reasons that lead to his wife cheating on him! Wouldn't this be another Temptation eh! The couple in Temptation weren't perfect! They both made poor decisions! Instead of trying to work out their marriage with each other, the wife pushed the husband away, took most of the time to her self by being a live in care taker in another married man's house which caused the husband to accept work from the other woman that resulted him falling in love with her instead! I know you supported the husband with the other woman! So just because the wife made poor, bad decisions, mistakes, it's okay for the husband to spend time, to be some what physical, to be with the other woman! So then for this drama, Valid Love, what if Uhm Tae Woong's character, the husband make poor decisions, mistakes, shouldn't it be okay for his wife, the wife to cheat and have an affair with another man! By the way, Temptation's ending must of been satisfying for you eh! I don't favor cheating, having an affair and such! If my husband were to cheat on me, there's no way our marriage will ever be the same again! It will end in a divorce! That's my take on cheating! On the other hand, I could see, understand why other people forgive, forget and start over with their significant others! Let's wait and see if Uhm Tae Woong's character will be all innocent or not in their marriage to determine if he may be part of why his wife decided to cheat on him! I'm so looking forward to this drama! Thank you for playing devil's advocate so to speak. Yes, I agree... something must have been amiss in that marriage, for the wife to be looking at greener pastures. I am sure if all was great and loving, she would not have gotten up one day, and told herself it is time to find a new lover. If find it interesting that everyone writes that it's a rom-com, but the scenario certainly does not sound like one. Viki already has a page for Valid Love. Add this channel to your favorites . Want to see "Valid Love" licensed on Viki? Then fill out this form. Hehe, @irilight! I don't support cheaters! Whatever the situation is, I don't support one and/or the other partner to cheat period! if one and/or the other feels that it's time to let go, to go their own way, it's better, the right thing to break it off first before looking elsewhere! But that's rarely the outcome in both dramas and reality! Since this is drama land, I as a viewer look, will look at both, all parties to see, understand what and why it lead to where it's going! Also, I don't believe in even! If one partner cheats, the other shouldn't cheat to make it a fair game! One should be the better person to let go or forgive, forget and make up! It's very sad, unfortunate for those in relationships, marriages where their significant others just cheat for the heck of cheating! I think Hee Tae should be a perfect husband. This is how his character should be written. Otherwise, Il Ri's cheating could be justified, "if Hee Tae wasn't like this etc, she wouldn't cheat" This is where it could go. Whatever the reason she should never cheat, and the audience shouldn't justify her. They may sympathize her for falling in love with another man and feel sorry for her, but when she crosses the line, we shouldn't say, "okay it's wrong but ..." I'm curious about how Hee Tae's character will be like. "I know you supported the husband with the other woman! So just because the wife made poor, bad decisions, mistakes, it's okay for the husband to spend time, to be some what physical, to be with the other woman! So then for this drama, Valid Love, what if Uhm Tae Woong's character, the husband make poor decisions, mistakes, shouldn't it be okay for his wife, the wife to cheat and have an affair with another man!" In that drama it's true i supported the husband compared to the wife but I never ever said that the husband did not make mistakes and did not do wrong. The husband did wrong but I think the wife made just as many and bad mistakes as him and cheated just as much by leaving the house and staying in that other man's house. That drama was pretty unrealistic in the setting though. That he suddenly is given such an offer and that the wife tries to commit suicide and also meets another rich man offering her to babysit his love child - all these things happening at the same time was pretty unrealistic. I knew pretty fast that the leads would get a happy ending because the wife was just a revenge hungry wife acting all innocent when she was not. In the case of 'Valid Love' and the possibility that UTW is a bad husband then I still say that cheating is always the fault of the cheater as long as divorce is an option since anything else is just selfishness of the cheater not wanting to give up the marriage while still wanting to be together with another person. If the female lead in 'Valid Love' is honestly in love with that other man then I don't mind her ending up with him just as the leads in 'Temptation' ended up together. I just don't want the cheater back with the cheated person just as I didn't want the husband and wife to get back together in 'Temptation'. If the cheater get back together with the cheated person then that person is further dirtying the affair she had because then it was just a 'fake' love while also degrading and making fun of her marriage by cheating in the first place. The husband (in my opinion) will also look pretty pathetic. I'm happy as long as the male lead does not accept his cheating wife back and then I honestly don't care how the ending of the wife is as long as the husband has a fair ending too (based on how 'good' his character is in this drama). Wow, reading through all of your posts about possible scenarios and all of the emotions behind such a plot in a drama, plus the awesome cast keeps me lurking around this thread. I look forward to the first episode and hope it meets all of our expectations. I am headed off to viki to go favorite VL and show my support. Thanks @irilight. I agree with everything you said, @xxxzxxx! But no matter how we see and want it our ways, the pictures aren't always white or black, light or dark! Most of the time, they're shades of gray! Not everyone that cheats know, plan the cheatings before hands! Cheating could be prevented but it may happen in the spur of the moment! Before thinking that one should end the relationship, divorce first, the cheating has already been done! Cheating shouldn't be justified but it may be a mistake considering the philosophy of no one's perfect which may lead to a learning process! Some that cheated and after realizing that they're wrong, they may return to their respective partners hoping to be accepted back! Regarding the ones that are cheated on, being able to forgive, forget and resume, they are weighing everything else before their prides! @uhmforce, if Uhm Tae Woong's character, Hee Tae is the "perfect husband" then Lee Si Young's character as the wife, Il Ri is either cheating for the heck of it, tempted/making a mistake or falling out of love/having a change of heart! According to the given plot in asianwiki, if Hee Tae "decides to keep his family and his wife", does that means that Il Ri cheated because she was only tempted by Kim Joon, Lee Soo Hyuk's character and she still loves Hee Tae! Wew, Enjoy reading all your awesome post here.. But why there is still no news again about this drama, while Liar Game will be aired next week and only 10 epi?? For example : Maybe about other casts, including parents, MIL,FIL etc. Or when they first script reading? photoshoot for poster and then press conference?? *hard thinking* Fiuhhh.. Can't wait hehehe..